Just when it look like LIME have something to give them a lickle ratings, it blow up right inna dem face. The star of them show, Vybz Kartel, who dem spend millions on making the reality show, Teacha's Pet, is now on a murder charge. But, tell me something now, LIME neva know say at any time tings coulda explode, because is Kartel dem dealing wid? And LIME doan even learn. Cause dem did sign up Mavado and then the Gully Gad go get himself inna whole heap a trouble and dem did haffi shelf him. 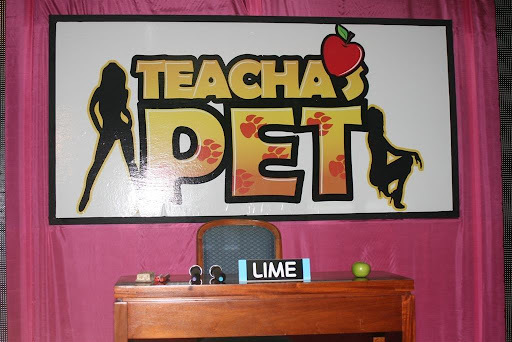 And now Teacha's Pet put pon pause... indefinitely. But a long time LIME a tek dem money dash way gi Kartel. Cause last year December dem pay Kartel nearly a million dollars fi perform at one free show. All we can say is LIME, oonu sour bad.